Sutter Health President & CEO Pat Fry and Sutter Health’s West Bay Region Board of Directors have named seasoned health care executive Michael J.Cohillas successor to Martin Brotman, M.D. in the role of Region President for the Sutter Health West Bay Region. Cohill will assume responsibilities in his new role effective January 1, 2012, when Dr. Brotman transitions to the system role of Senior Vice President, Education, Research & Philanthropy. Cohill will lead the region that spans from San Francisco to Lake County and includes four medical centers/ hospitals (CPMC; Novato Community Hospital, Sutter Medical Center of Santa Rosa, and Sutter Lakeside Hospital) as well as Sutter Pacific Medical Foundation and a variety of outpatient care centers. Major new hospital construction projects are either underway (Santa Rosa) or in the planning and entitlement phases (San Francisco). The region has over 8,000 employees and 1,700 affiliated physicians and allied health care professionals. Cohill has been part of the Sutter Health network of care for 30 years. 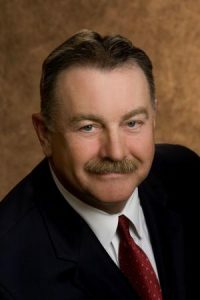 In his current role as CEO of Sutter Pacific Medical Foundation (SPMF), he has worked to establish strong relationships within the West Bay physician community and Sutter Health’s West Bay Board of Directors and helped lead the entitlement process for the new Sutter Medical Center of Santa Rosa campus. Previously, in his role as a Senior Vice President at Sutter Health, he oversaw and helped advance multiple key operations, including Supply Chain, Sutter Care at Home, Facilities Planning & Development, Sutter Operating System, and Sutter Coast Hospital. Cohill has also held senior administrative positions for physician organizations and hospitals in Sutter’s Sacramento Sierra, West Bay and Central Valley regions — establishing a reputation for collaboration, distilling complex issues and solid financial performance. Hailing from a family of health care practitioners, Cohill holds a bachelor’s degree in biology; he also holds a master’s degree in hospital and health services administration from Saint Louis University in St. Louis, Missouri. The West Bay Region of Sutter Health stretches from San Francisco to Lake Counties, and includes four hospitals (CPMC, Novato Community Hospital, Sutter Medical Center Santa Rosa, and Sutter Lakeside Hospital) as well as Sutter Pacific Medical Foundation and a variety of outpatient facilities.